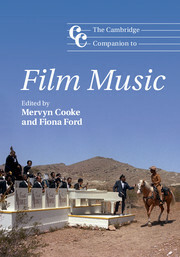 This month sees the publication of the long-awaited Cambridge Companion to Film Music. Edited by Mervyn Cooke and Fiona Ford, it features a chapter by OU Music Lecturer, Dr Ben Winters. The chapter, entitled ‘The Composer and the Studio: Korngold and Warner Bros.’, draws upon research Ben undertook at Warner Bros. Archives in Los Angeles to explore the relationship between composer Erich Korngold and the Hollywood studio system in which he worked during the 1930s and 40s. In so doing, it challenges a number of particularly entrenched myths about the composer’s working arrangements when composing and recording his film scores. Ben Winters is a Senior Lecturer in Music. Great book, thanks for sharing!